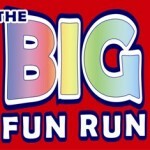 The Festival of Running is a new event for 2012 combining several existing events in the RunLiverpool portfolio and some new additions. The Festival will see an amazing EIGHT races over two days so a fast and furious weekend is likely… unless of course you are just looking for a stroll in the park as we that too! The two day running extravaganza will see six races on Saturday 5th and two races on Sunday 6th May. There will be three x 1 mile races and three x 5K races on Day 1 and two x 10K races on day 2. 10.00am. A new 1 mile open category race, great for first time runners looking to achieve a first 1 mile distance or anyone looking for a timed mile. 10.30am. The Big Heart 5K. A light hearted (!!) competitive race between Reds and Blues with the Reds 3 –1 up in the series. COYB!! 12 noon. Under 12s 1 Mile Fun Run. The kids get the park to themselves at midday, parents or guardians are required to join the younger entrants around the course. 12.30pm. 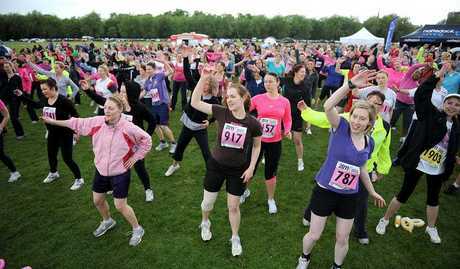 The Women’s 5K takes place as an individual event that has been hosted as part of the Women’s 10K in recent years. 2.30pm. The Merseyside Club Invitation Mile. Club runners from across the region go head to head for individual and team prestige. 3.00pm. The 5K Team Challenge brings day one to a close with business, charity and family teams competing to be the best. 10.00am. Men Only 10K. A new event to precede the Women’s 10K later on. The boys set the pace with the course to themselves. They will be out to impress! 12.00 noon. The Women’s 10K. The longest established road race is back and it’s just for the ladies. Congratulations to the winners of the womens’ 10K – Jennifer Clague of Liverpool Harriers AC!